I love that we are starting to get fresh peaches from the local farmers and there’s nothing like peaches and fresh whipped cream. If you’ve never made your own, well you have missed out. I love everything about fresh whipped cream including (and I know this is a little silly) knowing that some sweet dairy farm here in Utah worked hard just for you and I. It’s why I teamed up with the Dairy Council a year ago to talk about delicious dairy products. I wait all summer for the farm stands to start carrying peaches and as soon as they do I’m all over it like flies on a porta potty….er that’s gross but I’m all over it, and that’s the point. 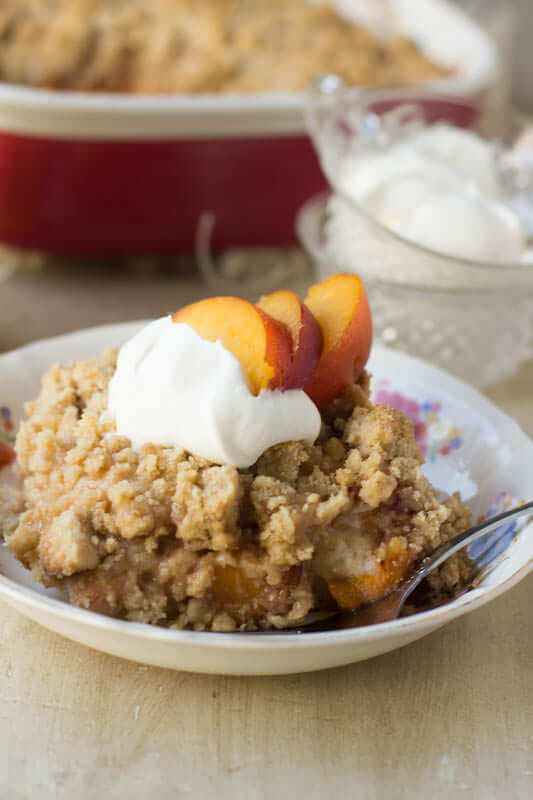 This Peach Cobbler French Toast Casserole is seriously the perfect breakfast to celebrate such a lovely, luscious fruit. Good heavens, just look at all of that buttery cobbler, crumble topping and it’s swimming in our favorite buttermilk syrup. Mmmmm, buttermilk syrup. 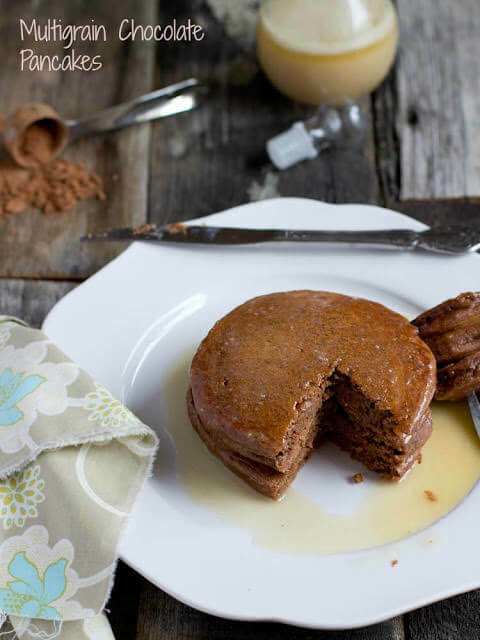 Shall we have a moment of silence for the world’s best syrup? Even my Aunt Jemima (no joke, he’d rather have store bought than homemade maple syrup) prefers buttermilk syrup over all else. It’s fantastic. We’ve adopted the tradition, like many of you have, of Saturday morning breakfast. We sleep in, make something crazy delicious and sit around the table taking our time to eat and just chat with each other. We love Saturday mornings. This recipe actually starts Friday so I just have to bake it on Saturday. Just tear up day old french bread, we use Pillsbury as I can quickly bake two loaves and not worry about slaving in the kitchen, and pour over your milk mixture. Meanwhile cook the peaches all tender and cinnamon-y and dump over the top. Our girls like to prepare the crumb mixture because they can just smash everything together and then pick up handfuls to sprinkle over the entire dish. I cover everything and place it in the fridge overnight! 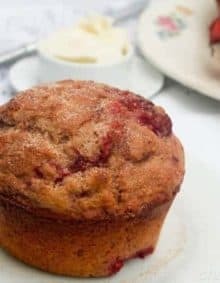 The next morning we bake everything until hot and bubbly, and serve with fresh whipped cream and sometimes I’ll whip up the buttermilk syrup too to make it really over the top. The whole time we are all in the kitchen laughing about funny things that happened during the week like our little one pretending to be “pwegenant” and both girls are giggling as they put on dances for us. It’s pretty much awesome. It’s such a slow, happy moment for us. Plus it’s something that happens regardless of school being in or whatever is keeping us busy all week. No matter what we at least get Saturday breakfast together. Gosh, I wish it was Saturday already. Peaches have many health benefits. Peaches are high in dietary fiber. They are low carbohydrate, and contain abundant vitamins, including vitamin C, vitamin A, vitamin E, and niacin. They are also a good source of many minerals, such as, potassium, copper, manganese, and phosphorous. 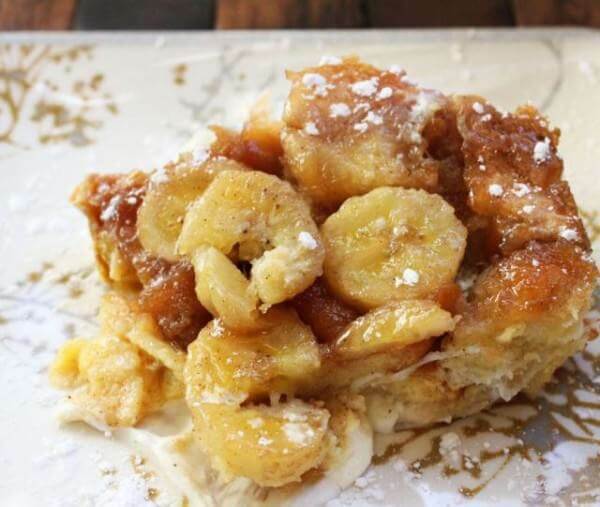 Can French Toast Casserole Be Prepared Ahead? You can prepare french toast casserole up to the point of baking it. Then cover with foil and refrigerate until ready to bake. You can substitute evaporated milk for sweetened condensed milk by adding sugar. For each cup of sweetened condensed milk, use 5 fluid ounces of evaporated milk and ¾ of a cup of granulated sugar. The day before you want to enjoy this casserole make the entire dish. Start by greasing an 9×13″ baking dish (we used a deep dish 8×8″). Tear up the bread and place it in the pan. In a bowl, combine the eggs, cinnamon, milk and sweetened condensed milk. Whisk to combine and pour over the bread. 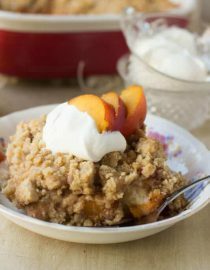 Heat a medium saucepan over medium heat and add the peaches, flour, brown sugar and cinnamon. Stir to combine and cook for 3 minutes or until tender and saucy in appearance, but still intact slices. In a large bowl add the flours, sugars and cinnamon. Whisk together with a fork and cut in the butter until it’s well incorporated and when you grab a handful in your hand it should stick together like wet sand. Sprinkle the peaches and then crumb topping over the bread mixture and cover with foil. Heat the oven to 350 the next morning, remove the foil and bake for 45 minutes. 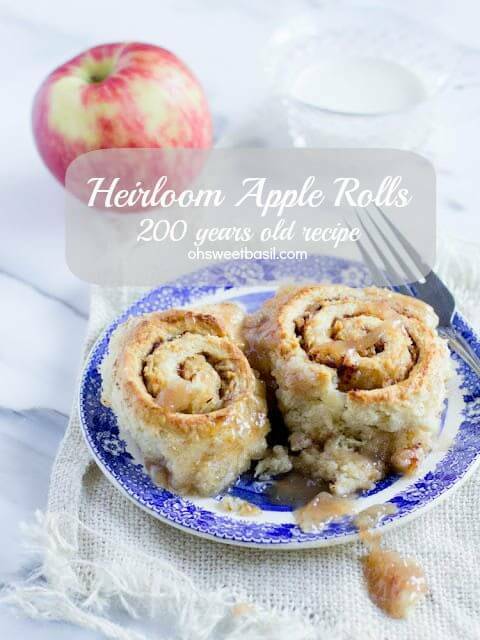 Serve with fresh whipped cream and or Buttermilk Syrup. Do you think I could make this with apples or blueberries?! Absolutely. I would cook the apples down a little so they aren’t too crunchy though. Well, now you have me wanting to run to my store and get peaches and bread! This is my kind of breakfast! I love your slow lazy Saturday morning tradition with your family too! Your girls are going to remember that for years and years! Oh wow, this has me written all over it!! I have a soft spot for cobblers, and this one looks amazing! Guess I’m not too smart – been cooking 60 years and never heard of buttermilk syrup. Can it be purchased or does it have to be prepared from scratch? 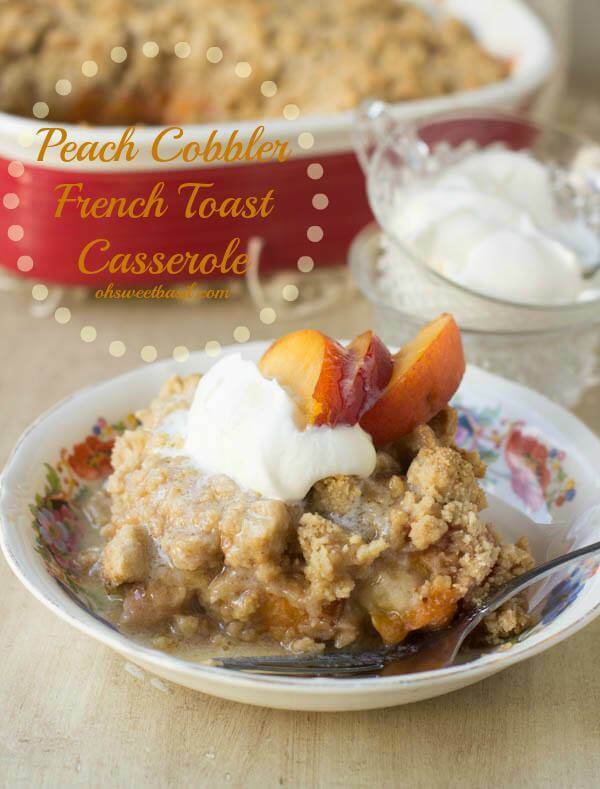 Peach cobbler and french toast is a mix i never would have thought of! It looks SOO good! Wow this is RIGHT up my alley! Omg it looks so good. The crumble, the peaches, the soft bread, the buttermilk syrup, mmmm, pinned! The title of this post alone had me droooling! Then I saw the pictures. Dang girl! I’m hooked. Thanks, Ashley!! I love cobbler anything. I looooove peach season. Why does it have to end?! Oh my goodness! I love this idea. 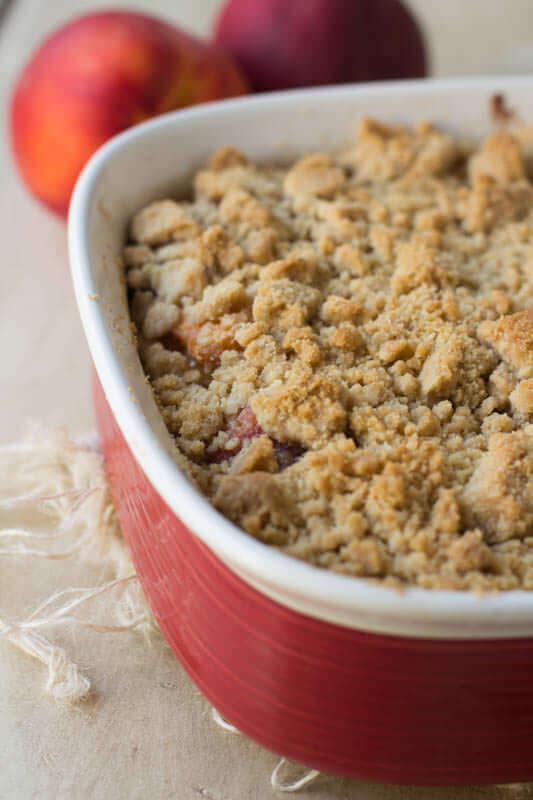 Crumble topping makes everything better… this looks beyond delicious! Frwsh whipped cream is out-out-this-world amazing, I love that stuff! 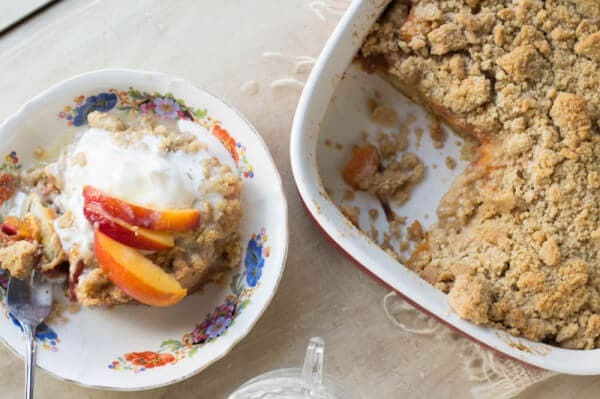 And this casserole couldn’t get any more perfect, I love fresh peaches and this looks amazing. Lovely pictures, by the way! Thank you!! I seriously wish I could make everyone try fresh whipped cream. It’s the best! I’ll be adding peaches to the grocery list this week for sure! 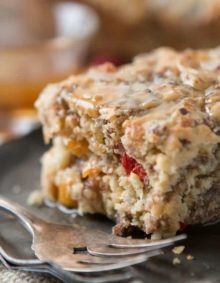 This casserole WILL be at our breakfast table for sure! It looks incredible! Carrian, I love the combination of flavors in this dish. 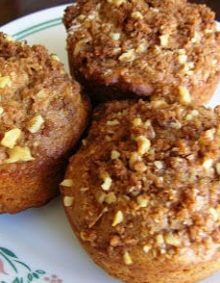 Pinned and making for breakfast soon! I have never seen a more gorgeous french toast! wow! DO IT!!! I think we will be making it again too! This makes me want to run to the store and get some peaches…how beautiful! This looks amazing! Wishing I had the ingredients to make it now!